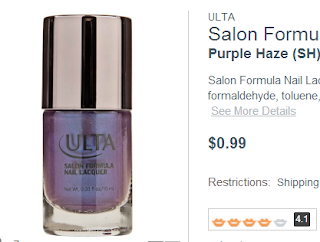 Sparkle Me Pink: Ulta Nail Polish only $1 ! 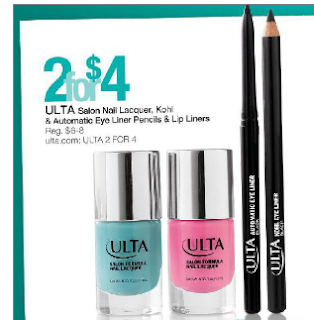 Ulta Nail Polish only $1 ! Now is the time to stock up on some new nail colors. Right now the color : Purple Haze is on sale for $0.99 !! are ALL on sale for $2 a piece ! You can then use this $3.50 off $10 coupon (coupon code online) to save even more !